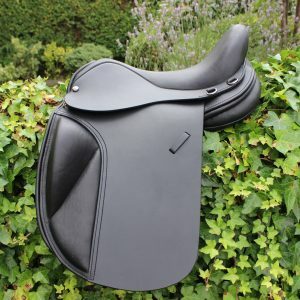 The Yin-Yang Flapless/Mono Flap Close Contact Endurance/GP Saddle-With Contour Master™ wide panel.Brand new model for 2014, designed and trialed over 2 years and now available to the general public as an off the peg or custom fit purchase. 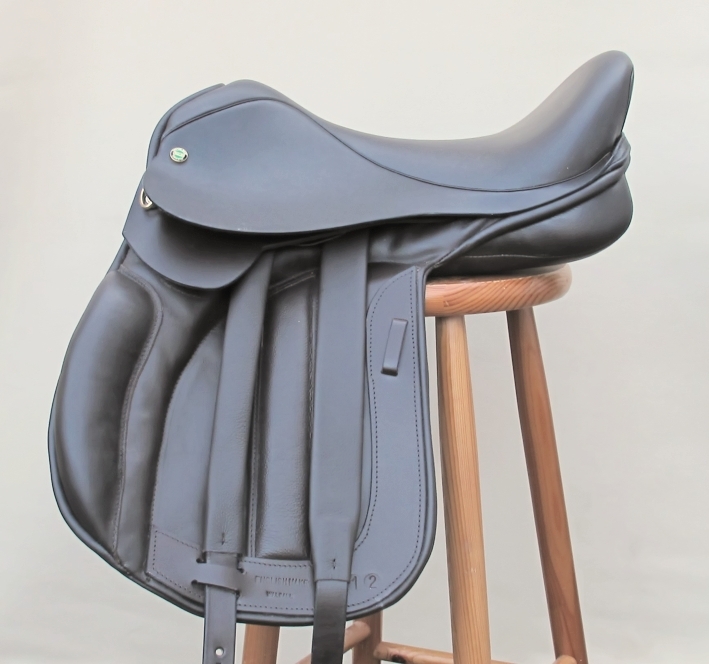 This world class, Walsall Made, Saddle is an incredibly comfortable saddle, perfect for General Purpose use and those long Trail rides and all related Endurance disciplines! 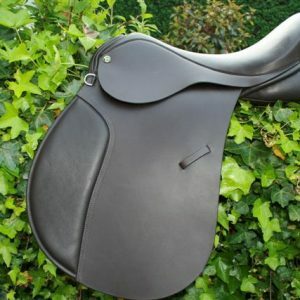 It’s flapless, or Mono/single flap design, offers superior comfort, balance and a closeness to ones horse that has to be experienced to be believed, and allows very precise contact with the rider’s leg. 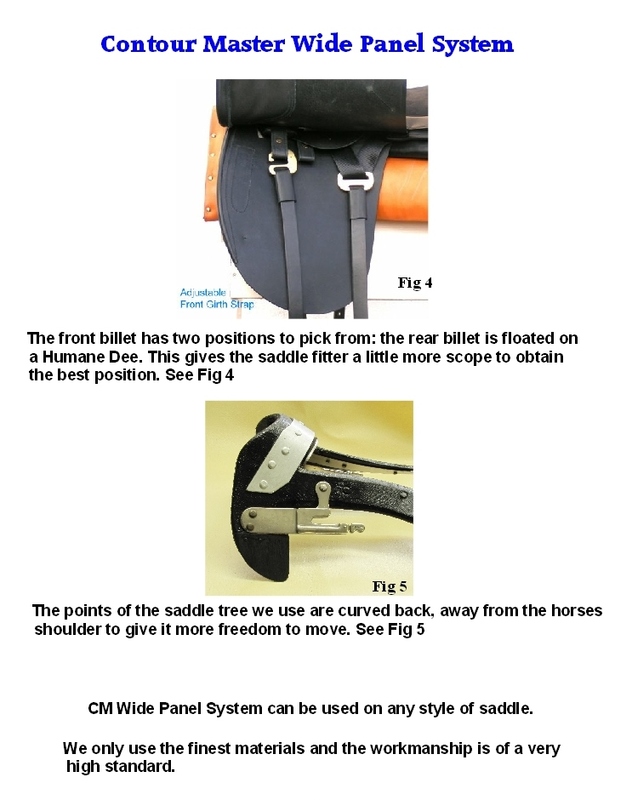 This design also makes the saddle more lightweight and the long girth straps/billets demand the use of a short dressage style girth, removing bulk from under the riders leg. Matching girths available. 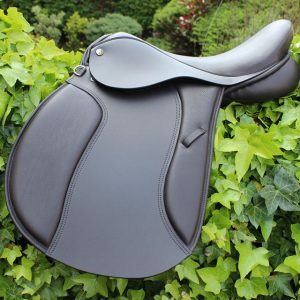 This saddle, the Freedom Trail and Free Spirit Saddles are both built on a symmetrical Tree, made by Lightwood, one of the UK’s Premier Saddle Tree Manufacturers. This tree can be altered by us, to make it wider or narrower, as the horse changes shape throughout the year. 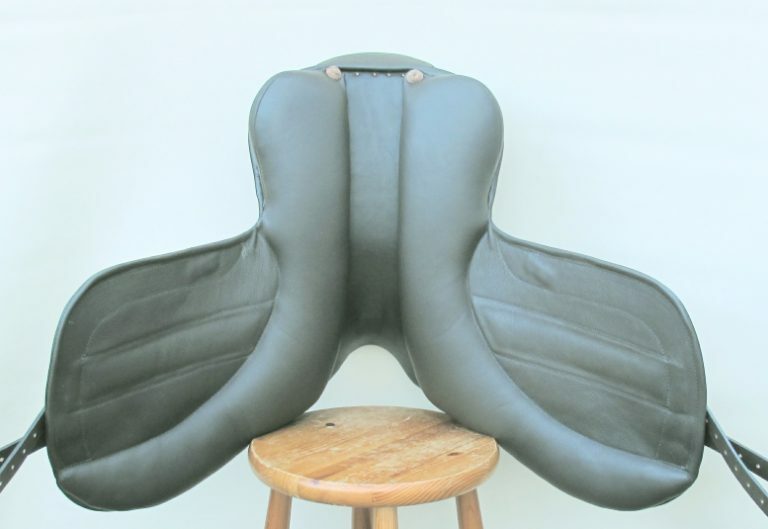 Knee blocks- the size of these may be decided by you when ordering the custom version. 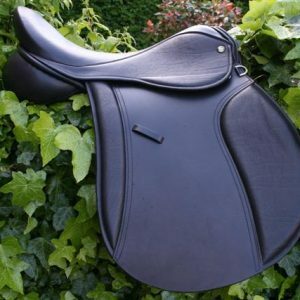 All the usual Endurance saddle fittings, in Solid Brass, can be attached to this saddle on request. We are a very flexible company and if you wish, you may supply any personal design ideas. 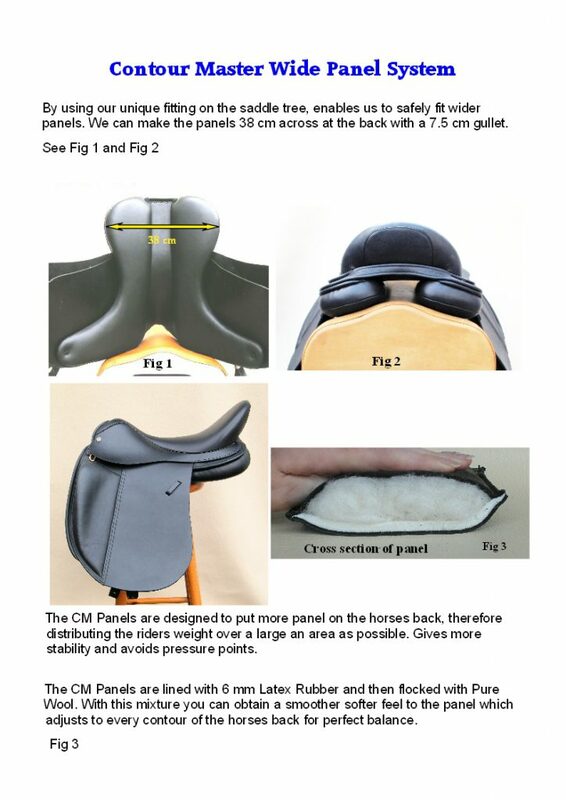 We always do our best to accommodate these ideas into the saddle of your choice. Please call to discuss.